Manfred Weber, the Spitzenkandidat of the centre-right European People’s Party (EPP), should stop fantasising about a “financial coup d’état” in Greece and scenarios to overthrow Greek premier Alexis Tsipras, whose leftist government was the one that led the country out of the crisis, S&D President Udo Bullmann told EURACTIV.com. Bullmann’s comment came in response to Weber’s statement on Thursday (7 February), when he said there was a need for a government change in Greece. Weber, who heads the EPP in Parliament, paid a two-day visit to Athens on 6-7 February, where he met Kyriakos Mitsotakis, leader of New Democracy, the EPP affiliate in Greece. Mitsotakis has established close ties with Weber, especially after New Democracy was the first centre-right party to officially nominate Weber as EPP’s Spitzenkandidat. Greek media reported that during a conference, Weber lashed out against Prime Minister Tsipras, especially about his stance on Venezuela. Greece and Cyprus are in disagreement with the position of a majority of EU countries which recognised Juan Guaidó as Venezuela’s legitimate head of state. But Weber went further, saying that if he became the EU Commission leader, and if there was a government change in Greece, he would try to ease the financial burden on the country. Greek media quoted Weber as saying that if Greece is to have another “growth-friendly” government, the European lenders will explore the possibility of lowering high primary targets of the country. “We need a new government in Greece,” Weber said. “Since when do EPP lead candidates dictate economic policy in the eurozone? I invite Mr Weber to freshen up his memory of recent history in Greece,” Bullman, the German social democrat, told EURACTIV. “While the current administration that Mr Weber would like to topple has managed to successfully conclude an adjustment programme, previous New Democracy-led governments failed miserably in this regard,” Bullmann added. In previous New Democracy-led governments, the Pan-Hellenic Socialist Movement (Pasok), the sister party of the EU socialists in Greece, also took part. “My advice to Mr Weber clearly is to spend more time on getting his facts straight than on fantasising about financial coup d’états,” Bullmann said. Weber’s statement was warmly welcomed by New Democracy but decried by the ruling Syriza party, which belongs to the European Left. Dimitris Papadimoulis, Syriza MEP and vice-president of the EU Parliament, said it was getting increasingly clearer in Brussels circles that Manfred Weber is a pre-election “proxy” Spitzenkandidat of the EPP. Papadimoulis said that with this kind of public appearances Weber increasingly confirmed that he was not the real EPP candidate and was just filling in for someone else during the pre-election campaign. “Mr Weber’s presence in Athens as Mr Mitsotakis’ ‘groupie’ reduces even more the extremely small chance of him being the next president of the Commission,” Papadimoulis told EURACTIV. Papadimoulis, a close ally of the Greek premier, added that Weber decided to hit at the Greek government and play the opposition “doom-mongering” tune on the same day the European Commission presented improved forecasts for the Greek economy. In its winter 2019 economic forecast, the European Commission predicted a growth rate for Greece of 2% for 2018, 2.2% for 2019 and 2.3% for 2020. In November, the growth rate of 2% was projected for both 2019 and 2020. “Greece is one of the rare cases of countries for which the European Commission’s growth forecasts for the coming years have been revised slightly upwards,” the EU’s Economic and Financial Affairs Commissioner Pierre Moscovici said on Thursday (7 February). 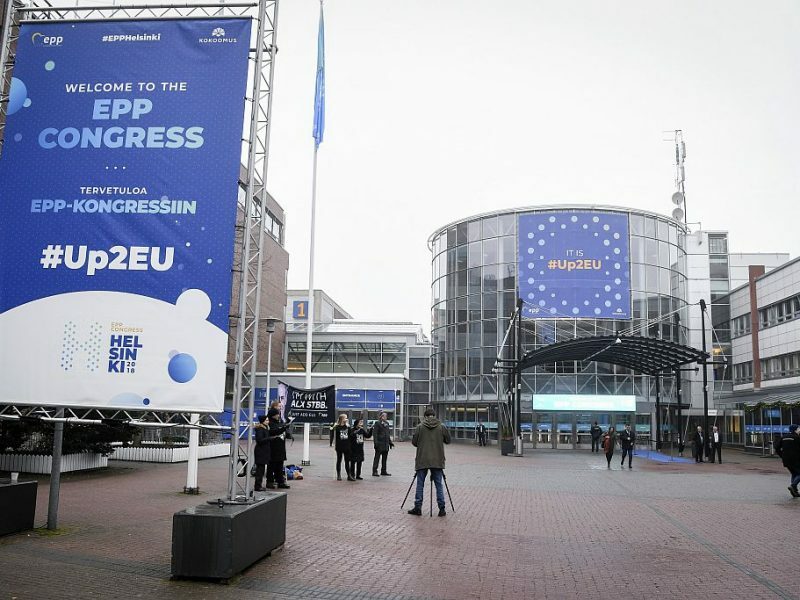 Papadimoulis voiced frustration at Weber’s stance, saying the German conservative politician “forgot” to mention the official Eurostat data, which suggest that with New Democracy in power, the country posted a 15.1% deficit in 2009, opening the door to bankruptcy. The Athens-Macedonian News Agency, EURACTIV.com’s media partner in Greece, asked the German government spokesperson Steffen Seibert to comment on Weber’s statement. “We are convinced that this cooperation can continue in the future regardless the outcome of the upcoming elections,” Seibert said, adding that the agreements reached between Athens and the Eurogroup are the ones that apply. Papadimoulis criticised once again Weber’s “silence” over the North Macedonia name change deal, the so-called Prespa Agreement, which was opposed by New Democracy in Greece. Following the 10 January publication of a EURACTIV article which quoted Manfred Weber as saying it was the Greek government’s responsibility to secure parliamentary backing for the Greece-Macedonia deal, the EPP denied the veracity of the article, challenging what was said and whether it had even been said. 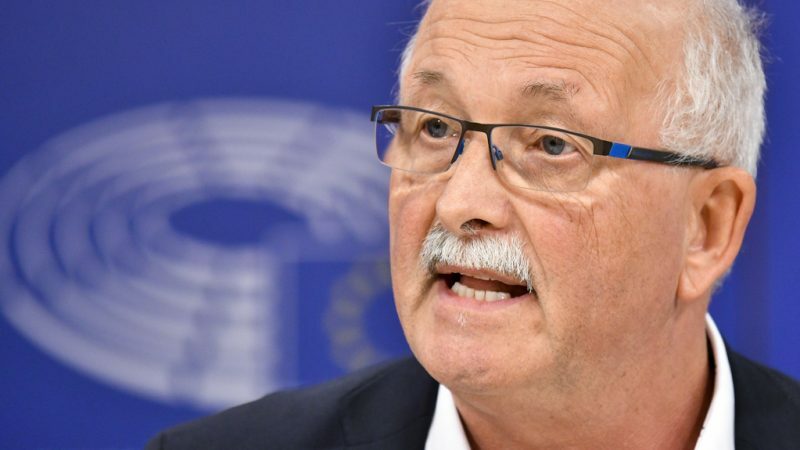 “He remained again silent over the North Macedonia name change deal, which is unanimously backed by the European Commission and the EU Council and by the vast majority of the EU House,” Papadimoulis said. “He prefers to silently support Mr Mitsotakis on the Prespa Agreement, in contrast with the rest of the globe, with the exception of Orbán, Putin and Erdoğan,” he added, referring to the leaders in Hungary, Russia and Turkey. 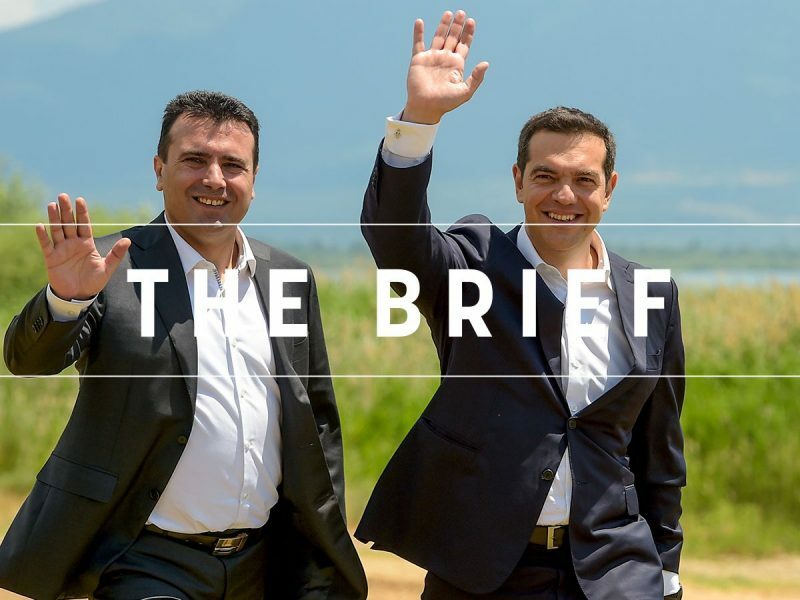 The deal reached between Athens and Skopje was hailed by the EU and US and is widely seen as an example to stabilise the fragile Balkan region. For this reason, the leaders of Social Democrats (S&D), the Greens and the leftists (GUE-NGL) said in a statement that Tsipras and his counterpart in North Macedonia, Zoran Zaev, should be awarded to the Nobel Peace Prize. Antonio Tajani, the president of the European Parliament and EPP member who also attended the conference in Athens, found excuses not to back the Nobel prize initiative. “I did not sign to give the Nobel Prize to someone who is an acting prime minister, because I think the prize should be given to someone else […] I think that the prize could be given in memory of Helmut Kohl and not someone who is now involved in politics,” Tajani said. According to the Nobel Committee rules, the Nobel Peace Prize cannot be awarded posthumously, unless the recipient died between the award being announced and the traditional award ceremony in December.